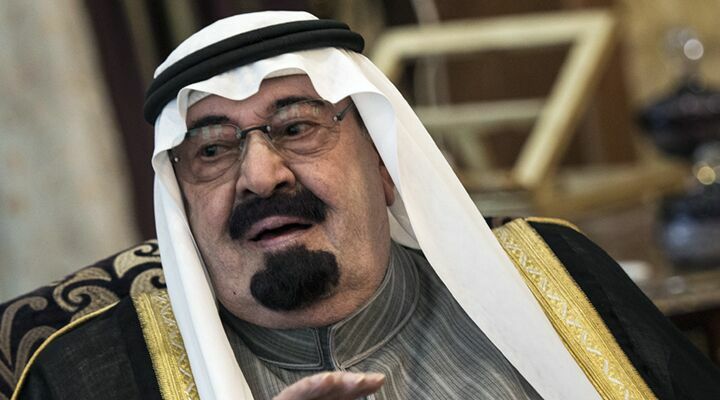 Saudi Arabia’s King Abdullah bin Abdulaziz al Saud died on January 23 at the age of 90. Abdullah had been the de facto ruler of the nation since 1995 after King Fahd suffered a debilitating stroke; he was made king when Fahd died in August 2005. Some Shiite Muslims have long believed, based on Islamic prophecies, that Abdullah’s death would set off a chain of events that would destabilize Saudi Arabia and culminate in the rise of Imam Mahdi—the messianic figure of Islamic eschatology. Though Mahdi is not explicitly mentioned in the Koran, references to him appear in the hadith, a collection of reported teachings by the Prophet Mohammed, assembled after his death. [A] man named Abdullah comes to the power. Whoever informs me of his death, I will inform him of the rise [of Mahdi]. One hadith quotes Mohammed discussing when that reappearance would be: “On doomsday, a man who is carrying the name of an animal ascends to the throne, after which a man named Abdullah comes to the power. Whoever informs me of his death, I will inform him of the rise [of Mahdi]. After Abdullah passes away, for several days and months, the government will appear” (Ghaybat Al-Tusi). Abdullah’s predecessor, King Fahd, is said to have carried “the name of an animal” since one meaning of Fahd is related to the word “cheetah.” That would leave King Abdullah as the ruler that reigns before Mahdi. Though this Islamic prophecy itself is nonsensical, belief in it by many zealous Shiites is potentially significant. Though this Islamic prophecy is nonsensical, belief in it by many zealous Shiites is potentially very significant. Twelvers say Mahdi will only reappear during a time of global calamity and chaos. During an apocalyptic time of war, he will reappear in order to bring justice to the world—by converting all people to Shia Islam. Chaos, they say, is a prerequisite to Madhi’s return, and many believe that by stirring up chaos, they can hasten the return of their messianic figure. Meanwhile, Iran’s centerfuges are spinning as the nation steadily works toward the development of a nuclear arsenal. Could some Shiites who believe that the death of King Abdullah is a trigger to the return of Mahdi now be more motivated to stir up chaos? Could they now have renewed impetus to “pave the way” for their messiah’s return? Should the United States continue sitting idly by as Iran works toward the development of nuclear weapons? Since many Shiites are deeply, even fanatically, sincere in their beliefs, these are questions worth considering. Is Iran Setting Itself Up for an Attack?